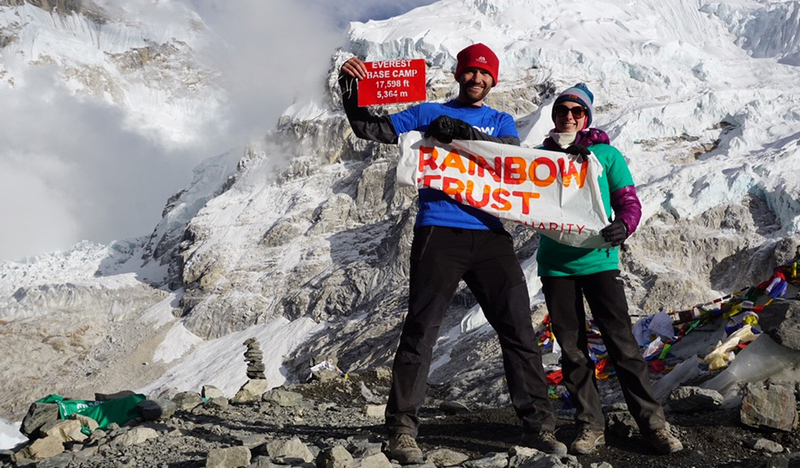 Trek to the base camp of the greatest mountain on earth, take on this incredible 11 day trek and help us to support more families who have a seriously ill child. Take a look at a selection of dates in March, October and November and choose one that suits you! This fully supported 16 day challenge is a once in a lifetime experience, not only will you witness some of the most breathtaking scenery you’ll have the opportunity to visit some of the highest villages in the world, as well as admiring the sunrise over the Himalayan snow-capped peaks and Khumbu Glacier. The sponsorship target might seem unachievable right now, but with the support of our Sports and Challenges team you’ll be on your way to hitting your fundraising target in no time! We’ll be in regular contact to provide advice and helpful fundraising tips to keep you on track. If you are already trekking Everest Base Camp or if you’d like to self fund your trip please still get in touch as we will still provide the same level of support, and we’d love to have you on our team!